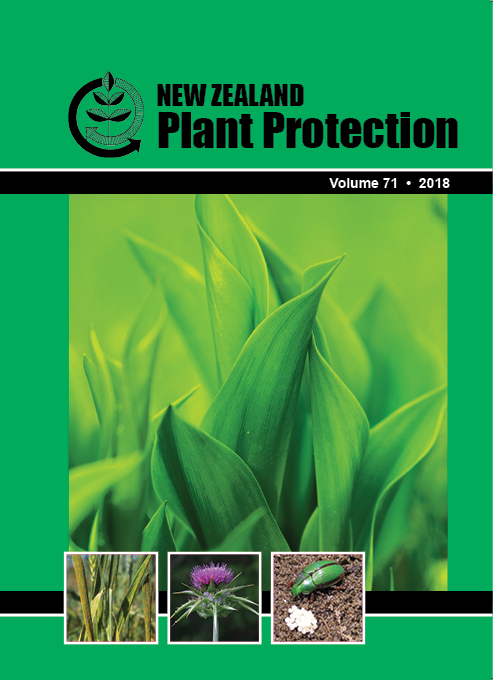 New Zealand Plant Protection (NZPP) is indexed by Scopus and has a 2017 Scopus Cite Score of 0.63. The Cite Score is calculated by dividing the number of citations in 2017 to NZPP papers published in 2014, 2015 or 2016 by the number of documents published in 2014, 2015 and 2016. The journal is also indexed in Biosis, which is part of Web of Science.